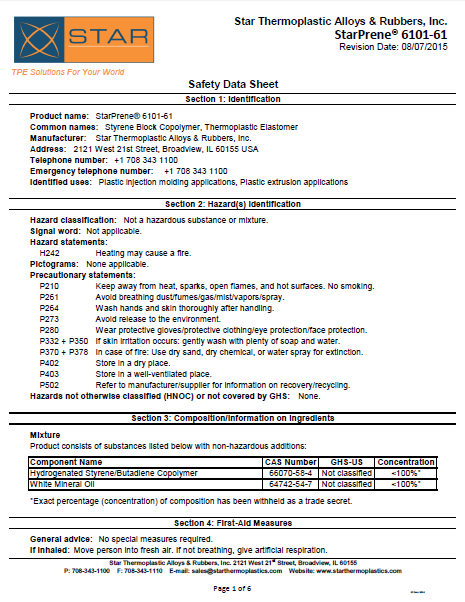 Looking for a Technical Data Sheet or Safety Data Sheet? 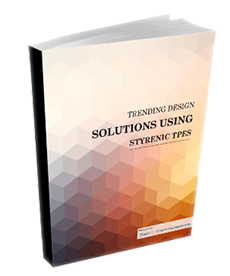 We can help you locate Technical Data Sheets and Safety Data Sheets. You came to the correct place. We would be happy to provide you with what you are looking for. 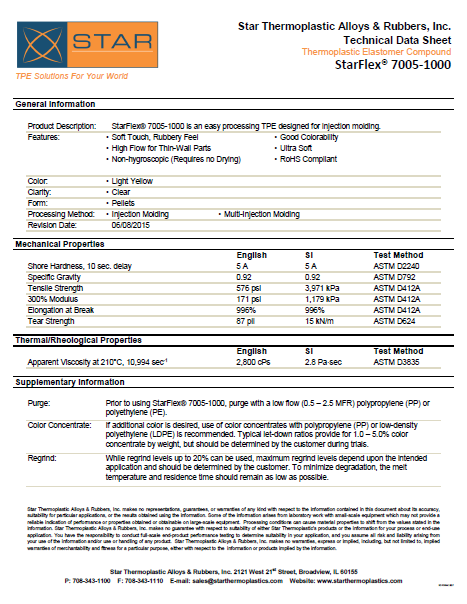 We release Technical Data Sheets and Safety Data Sheet by request only. Please fill out the Contact Us form and we will respond to your request. You can also find a collection of our technical data sheets on UL Prospector. And you can always call us at (708) 343-1100 or send us an email at sales@starthermoplastics.com.